Faculty Websites has a new theme created by Strategic Communications. This theme is based on the current UCI branding and emulates the UCI website. The theme has many built in options including layout options, custom header, custom menus, custom widgets and breadcrumbs. It is a responsive theme that will resize to look good on many devices including mobile phones. Here are some tips to get the most out of this new theme. 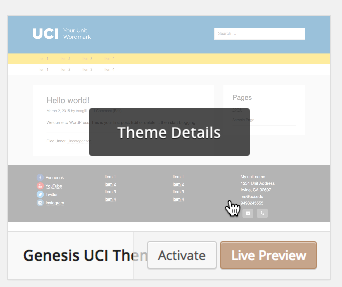 The Genesis UCI Theme is the new default theme for Faculty Websites. If you have an existing website, it is also available from the available themes. Look for Genesis UCI Theme and hover over the preview image. If you want to use this theme, choose Activate or Save & Activate if you are using Live Preview. 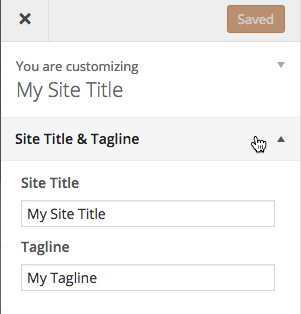 By default, the header will show your Site Title and Tagline (if using). You may also opt to use a wordmark provided by University Communications. The Site Title for your site will be displayed along with the tagline if you are using one. 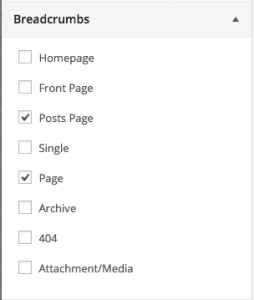 Expand the Site Title & Tagline settings by clicking on the triangle. You should see the change in the preview to the right. You can also upload an image to be used in the header. Strategic Communications can create the wordmark/logo for you. Expand the Upload Logo settings. Choose the image from your Image Library or upload a new one. The recommended height for logos is 75 pixels. The theme comes with two custom widgets that can be used in the Footer to display social media icons and contact information. 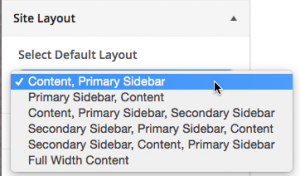 The standard widgets can be used in any of the widget areas including sidebars, header and 4 footer areas. This custom widget makes it easy to put in links to your Social Media feeds. You can use icons alone or icons with text in either a vertical or horizontal display. In the Footer 1 widget area, select the UCI – Social Media List widget. Continue adding additional platforms and links as needed. You should see a preview to the left. 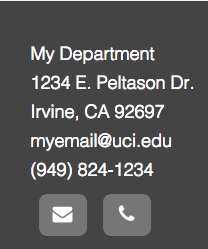 In the Footer 4 widget area, select the UCI – Contact Info widget. Fill in the fields including your Unit name, address, email and phone. Click the Show Action box to display icons for email and phone. 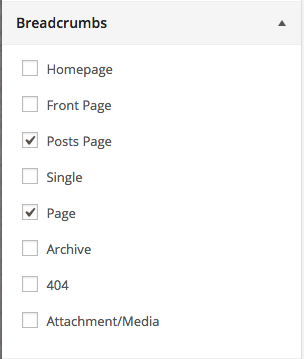 By default, a new site will be set up so that the front page lists your most recent Posts in a blog like format. You may also opt to create a page and make that your front page. We have detailed instructions to change the front page. This theme includes several layout options. 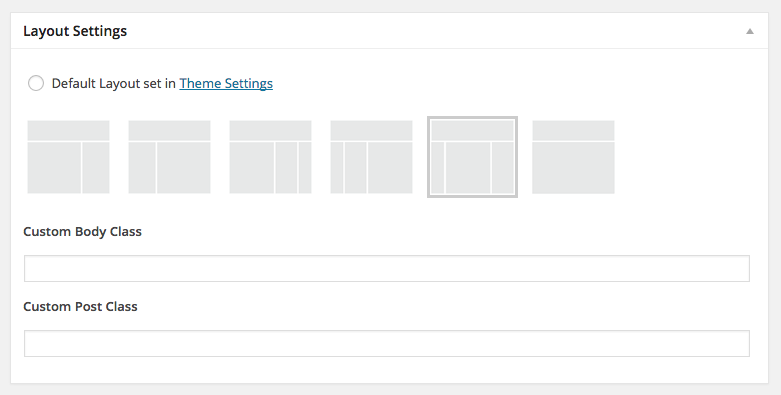 You can choose a default layout and still change individual pages or posts to use a different layout. Expand the Site Layout settings. Edit a page or post. In the Layout Settings panel, select a different layout. Publish or Update the page or post. This theme also includes Breadcrumbs. 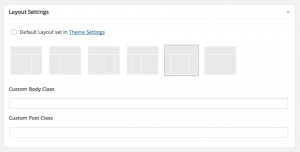 Breadcrumbs are a navigation feature that allow your readers to go up levels to other content. By default, the breadcrumbs are turned off. Check the types of content to display the breadcrumbs. This theme includes two navigation areas for your custom menus. One has a yellow background (Primary) and the other white (Secondary). Both appear below the header. You can use them individually or together. Create one or two custom menus.